Exhibit Solutions of New Mexico is your complete source for tabletop displays, portable exhibits and trade show accessories. Thank you for visiting our online showroom. We hope you found this site to be useful. If you would like more information about any of our quality displays, in-house graphic capabilities or trade show accessories, please contact us by phone or e-mail. Exhibit Solutions of New Mexico, Inc. 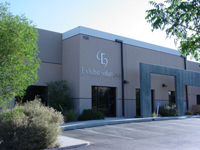 Founded in 1999, Exhiibit Solutions of New Mexico is a minority, woman-owned certified small business. Exciting new product launches this year include backlit SEG fabric frames and light boxes, new Matrix portable counters, MOD custom charging stations and updated large-format graphic products and services. Copyright © 2019 Exhibit Solutions of New Mexico, Inc. All Rights Reserved.